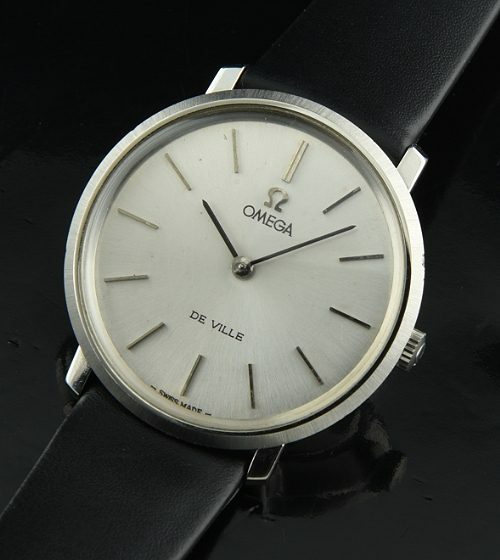 This circa 1968 OMEGA DE VILLE is a seldom seen model having a caliber 620 (just cleaned and accurate) manual winding movement. This steel 33mm. case has a narrow bezel and all dial appearance, making it a sleek and understated mid-size look. I really appreciate the simplicity of this amazingly clean and finely restored dial with original elongated steel markers and contrasting baton hands. 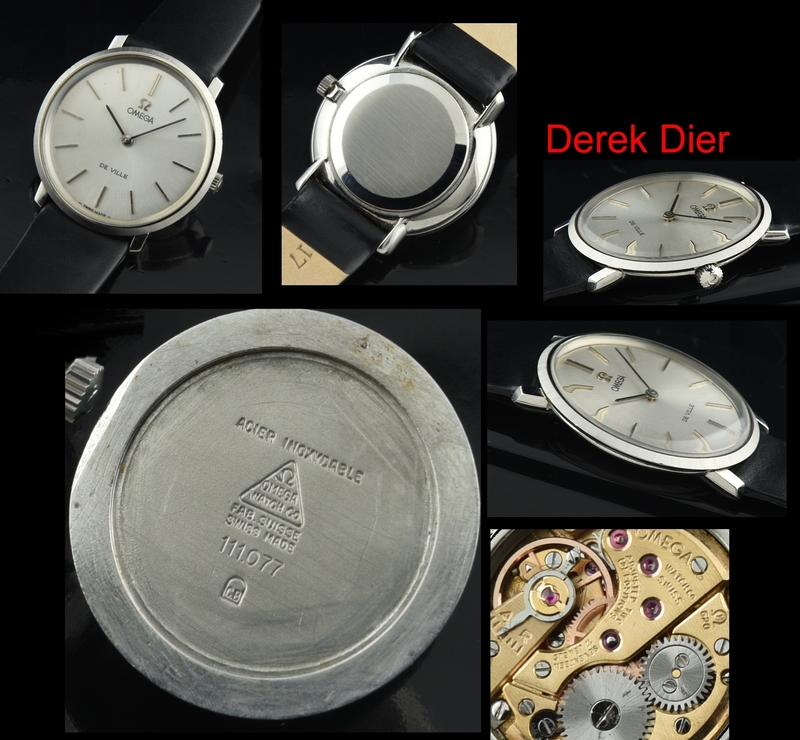 The OMEGA winding crown is correct to the watch. I like the short and clean-lined lugs-simple and understated.